Lake Saint Louis, Mo., October 7, 2014 — National Information Solutions Cooperative (NISC), a leading provider of technology solutions to utility and telecommunications organizations worldwide, will officially break ground at the Lake Saint Louis, Mo. location in October. This expansion will accommodate the continual growth of the cooperative and make room for an expanded mailroom facility. The expansion was marked by speeches given by Vern Dosch, President and CEO of NISC, Harry Barnes, NISC Board of Directors Vice Chairman, and by Kathy Schweikert, City of Lake Saint Louis Mayor. 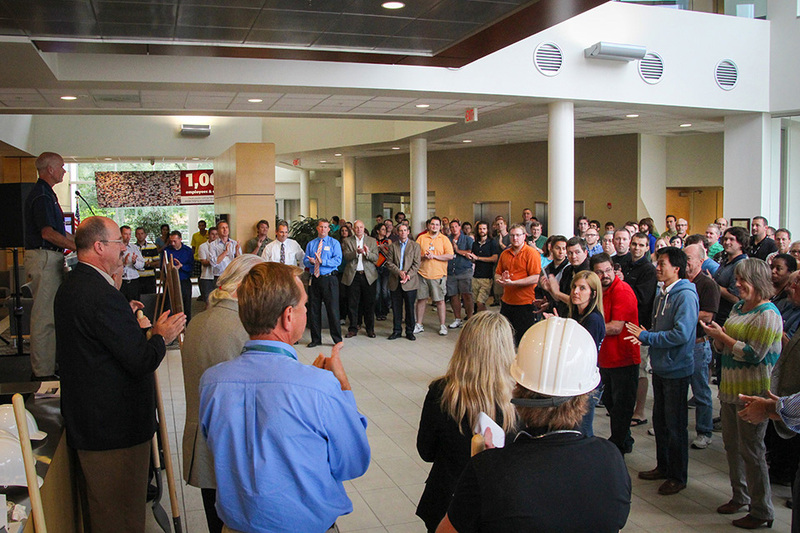 The event was attended by many NISC Lake Saint Louis employees, members of the community and business leaders. The Lake Saint Louis location, one of four NISC campuses in the United States, has been the Missouri home of the technology cooperative since 2005. The Lake Saint Louis facility will expand by 44,000 square feet in an effort to accommodate the demands of a growing organization. At NISC, employees focus on service excellence and innovative information technology solutions that enable their Member-Owners to excel in customer service, maximize diversification opportunities, and compete effectively in the changing utility and telecommunications industries. 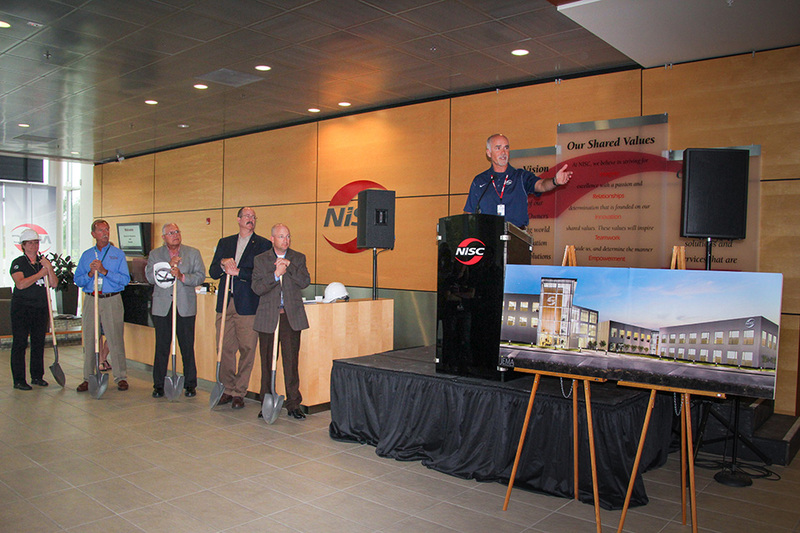 NISC will release more information on the expansion as the project progresses. 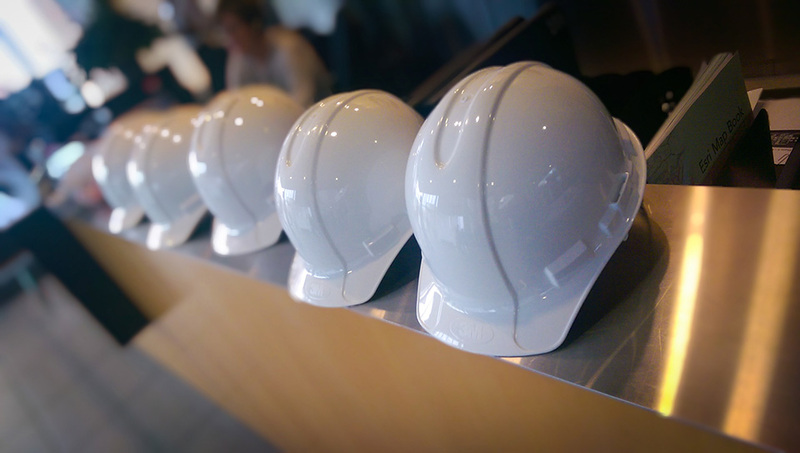 For the most up-to-date information on our expansion, follow us on Twitter @NISC_Coop.